Size: 28.4 g / 1 Oz. This is la crème de la crème of skin care products . I am almost 69 and used it for years but stopped for a couple of years .I started again and I am getting so many compliments on my skin .Worth every penny ! Great stuff but extremely expensive. One bottle lasts me about a month. Considering looking for alternatives. Giving it 3 stars instead of 5 because of the price. bought on advice from my dermatologist. absolutely love it!! my skin is visibly different. i have starting receiving compliments on my skin. expensive but worth it!! Incredible product. Recommended by my dermatologist. I am 64; my skin is firmer, softer, plumper, and more radiant than ever before. It costs but it does deliver! This is the one product that really made a visible difference to my skin. Have been using for four months now and cannot believe how good my skin looks and feels. I have been using this product for about six months. My dermatologist calls it Liquid Gold in a bottle. I have received several compliments on my skin since I started using this - it's made me a believer. Expensive but appears to be worth the cost based on results. Started using this about 3 weeks ago, and I have noticed some difference, especially in problem areas. Hope to see more improvement as time goes on. Palmitoyl Tripeptide 5 - A tripeptide with a unique sequence that mimics the body&'s own mechanism to activate Transforming Growth Factor (TGF-beta), known as the key element in the synthesis of collagen. Hydrolyzed Silk (Sericin) - A combination of silk peptides encapsulated in liposomes that assimilate with skin cells to stimulate production of hyaluronic acid and collagen to improve skin tone and texture. 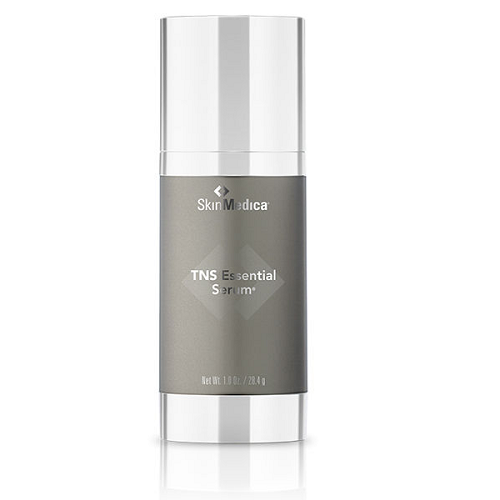 Inhibits tyrosinase activity to reduce uneven skin pigmentation. Dipalmitoyl Hydroxyproline - A lipid soluble amino acid that is essential in collagen synthesis. 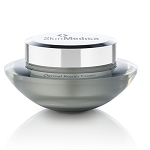 It works with ascorbic acid to increase collagen synthesis. Ergothioneine (EGT) - A natural amino acid with super-antioxidant properties that protect cells against oxidative damage, inflammation and inhibits collagen degrading MMP enzymes. Ubiquinone (Coenzyme Q10) - Effectively counteracts free radical damage and provides significant protection against UVA-induced detrimental effects of photoaging. Coenzyme Q10 works synergistically with vitamin E in preventing damage to lipid membranes and plasma lipids. Camellia Sinensis (Green Tea) Leaf Extract - Reduces redness and suppresses skin inflammation and irritation while providing powerful antioxidant properties that help protect cells from free radical damage initiated by environmental factors. Rubus Fruticosus (Blackberry) Leaf Extract - A plant derived inhibitor of Matrix Metalloproteinases (MMPs) that prevents the degradation of the extracellular matrix thereby helping to prevent wrinkle formation. 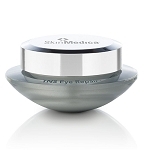 The extract also exhibits antioxidant activity which helps fight the visible signs of aging. Saccharomyces Ferment Filtrate Lysate - A yeast extract that when topically applied defends against the detrimental effect of ozone (which has an ability to deplete antioxidants in the skin), and improve the barrier function of the skin. Alpha-Arbutin - A tyrosinase inhibitor found in extracts from Bearberry plant. It provides skin lightening effect by inhibiting activity of the enzyme tyrosinase which is critical in the production of skin melanin pigmentation. Gamma Aminobutyric Acid - When administered systemically, it functions as neuromuscular inhibitor which reduces excitability of the nerves and produces muscle relaxation. Hyaluronic Filling Spheres - Dehydrated filling spheres penetrate into skin folds of varying depth and trap water in the superficial layers of the skin. The remarkable characteristic of hyaluronic acid that acts as a molecular sponge, enables the spheres to swell and exert pressure in the direction of the surface, resulting in a smoothing effect on the skin. 281 points will be rewarded to you when you buy this item.